Something different for your diary, something SO much better…! Christmas Party? Birthday? Any special occasion? 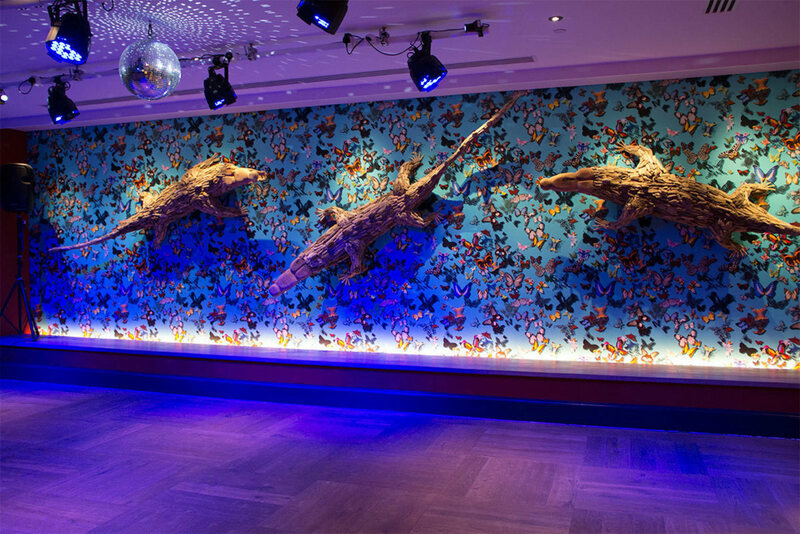 Even if you make one up, believe me… It will without a doubt be a night to remember at the Ham Yard Hotel. Bowling. But not bowling as you know it – an original 1950’s bowling alley imported from Texas in the swankiest private events space – an enormous bar stretching the length of the room and a dance floor surrounded by some serious artwork. Even the bowling balls are something to shout about – hand warmers!! “Finally!” I hear you say! Throw in a silver baby grand piano, large scale Howard Hodgkin artworks, three driftwood crocodiles and a bar stocked with everything under the sun and you’ve got yourself something extra-ordinary..! Nothing’s a problem, everything is a treat and the staff could not be more helpful and kind if they tried.